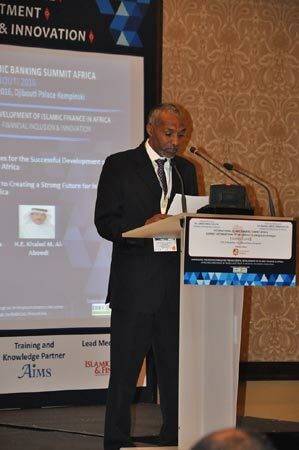 Enabling industry leaders from across the key markets of Africa, the Middle East and internationally to better engage with how Islamic finance can positively impact economic development priorities on the continent, The International Islamic Banking Summit Africa: Djibouti 2016, held under the patronage of H.E. ISMAÏL OMAR GUELLEH, President of the Republic of Djibouti and Head of Government, and with the official support of the Central Bank of Djibouti, opened today in Djibouti. The event was attended by more than 250 industry leaders representing over 75 international organizations. A powerful line-up international speakers and industry thought leaders discussed topics focused on Harnessing the Driving Forces for the Successful Development of Islamic Finance in Africa. The Summit opened with a keynote session featuring H.E. Ahmed Osman, Governor of the Central Bank of Djibouti; H.E. Getahun Nana Jenber, Vice Governor of the National Bank of Ethiopia; and H.E. 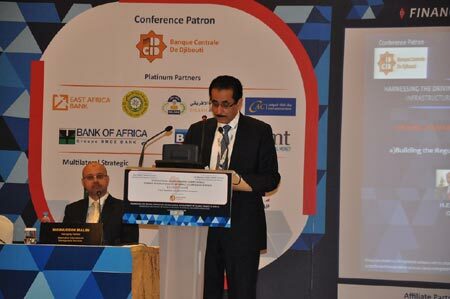 Khaled M. Al-Aboodi, Chief Executive Officer of the Islamic Corporation for the Development of the Private Sector (ICD, Saudi Arabia),who deliberated on how to build the regulatory infrastructure essential to create a strong platform for the future development of Islamic finance in Africa. Speaking on the sidelines of the Summit, H.E. Ahmed Osman, Governor of the Central Bank of Djibouti said that:“The International Islamic Banking Summit Africa: Djibouti 2016 is a landmark gathering which regularly convenes global industry leaders to boost economic development and facilitate greater trade and investment flows between Africa and the OIC markets through Islamic finance. Islamic finance brings several key value propositions to Africa; most notably in the areas of enabling infrastructure finance, boosting international trade & investment flows, and deepening financial inclusion – all key priorities for boosting further economic development on the continent“. Another major highlight at Day 1 of the Summit was a live interview session featuring renowned international Islamic banker,Afaq Khan. Mr. Khan was interviewed live on stage at the event by Moinuddin Malim, Managing Partner of Alternative International Management Services (Dubai), and during a wide-ranging interview, he provided unique personal insights into the future development paths for Islamic finance internationally and across Africa. 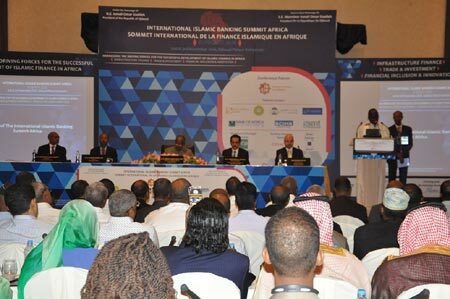 The Summit also addressed how Islamic finance can increase the flow of trade and investment in Africa. Ibrahim Rashid Jaffar, Chief Executive Officer of East Africa Bank; and CassimDocrat, Director of DDCAP (DIFC) Limited; led this session that identified new opportunities for faster trade and economic growth across Africa. The International Islamic Banking Summit Africa 2016 is created in collaboration between the Central Bank of Djibouti and Ethico Live! Ethico Live Limited is a UK registered company with its corporate headquarters at 110 Queen Street, Glasgow G13BX, UK. Through our on-the-ground presence in key centres across the world we are able to serve our clients in the global financial markets with high-profile international conferences in Europe, the Middle East, Africa and Asia.